In 1485, Henry Tudor defeated King Richard III in battle, thus ending the War of the Roses. 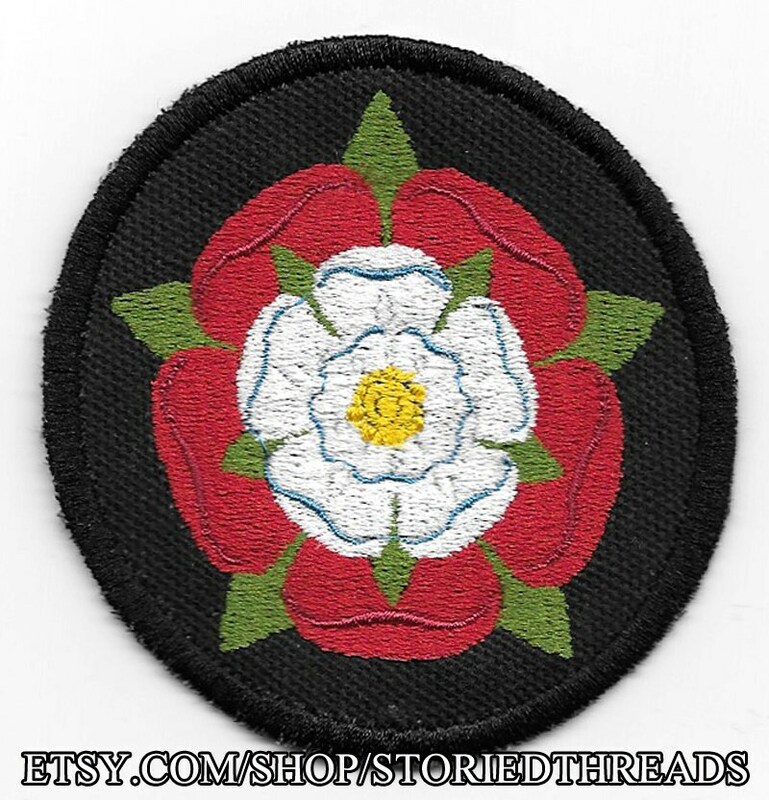 As King Henry VII, he married Elizabeth of York, and symbolically combined the red rose of Lancasater and the white rose of York into one sigil -- the Tudor Rose. This sew-on patch is stitched on black cotton canvas and measures 3" in diameter.